Dell’s XPS Tower desktop is a very impressive desktop for an even more impressive price. It is built for someone who wants incredible performance and entertainment capabilities for an on-a-budget price. The XPS Tower Special Edition has even more power and features and is ready for your Virtual Reality applications. Even standard, it has exceptional capabilities but with all the optional technology and hardware, you can make this computer better than the rest. We will have coupon codes and discounts for the new XPS Tower series to save you some money on your purchase. The XPS Desktop is an affordable, yet very powerful computer comes from a long line of Dell’s lineup of XPS Performance. That is not just a coincidence. It, if wanted, has all the capabilities of a high-end computer with the standard capabilities being very powerful, fast and top of the line. Dell gives us coupon codes and promotions for the XPS series so check below to see if you can save money on this incredible system. Compare the deals for the XPS 8930 Special Edition Tower desktop configured with up to the 8th Gen Intel Core i7 processor, 16GB memory, NVIDIA GeForce GTX 1080 graphics and a 2TB hard drive with 512GB SSD, Deals Start at $999.99! 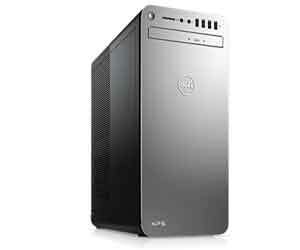 Shop deals for the XPS 8930 Tower desktop with up to the 8th Gen Intel Core i7 processor, 16GB memory, NVIDIA GeForce GTX 1070 graphics and a 2TB hard drive with 256GB SSD, Deals Start at $579.99! The powerful hardware side of this series matches the entertainment side. XPS Tower standard has 8th generation i5 or i7 processor, this computer keeps up with every click. The hard drive storage options are up to 2 Terabytes and a 2GB Graphics card. While the XPS Tower SE is one of the few systems that meets the specs for the Oculus Rift VR experience and comes with the powerful 7th gen Intel© Core™ i7 processor and up to a 2TB hard drive with a 512GB SSD. Some of the models even come with Intel® Optane™ memory accelerated hard drives. These systems can handle just about any computing task that can be stuffed down their Cores.